Our SERVPRO Professionals are highly trained in property restoration. From initial and ongoing training at SERVPRO's Corporate Training Facility to regular IICRC industry certifications, our Professionals are equipped with the knowledge to restore your property. As the result of water damage to this Spring, TX game room, mold development can be seen growing on the wall behind the paneling. SERVPRO of Westfield technicians were called out for mold remediation services. For more information on mold remediation services, please visit or call us at (281) 907-0018. 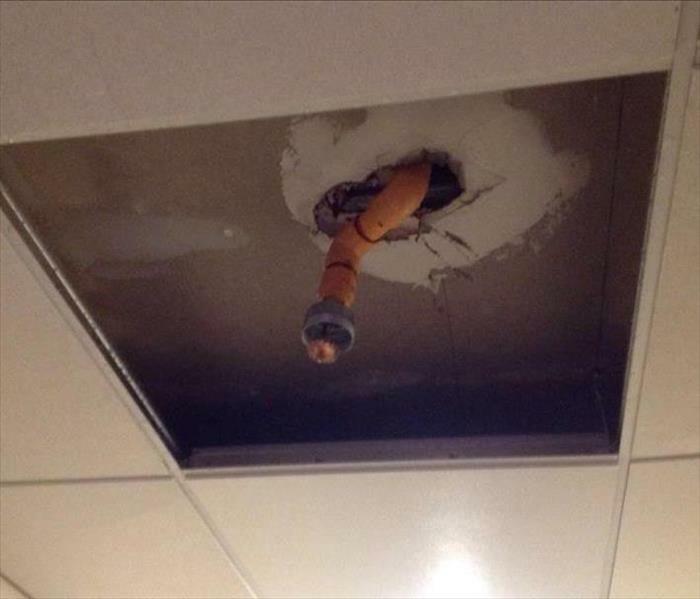 Due to a leaking pipe in the wall, a Houston, TX preschool restroom experienced mild water damage but major mold damage. Upon repair of the leaking pipe, the preschool’s facilities manager noticed mold growth and called SERVPRO of Westfield. After receiving the results and protocol of an air quality test, our certified technicians arrived to the facility and began working right away. 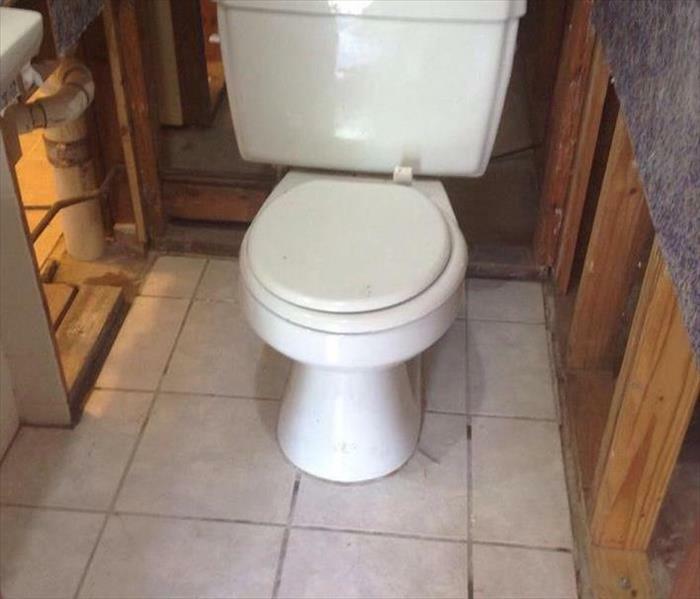 The restroom was up and accessible in no time. Give SERVPRO of Westfield a call today at (281) 907-0018. We’re here for your mold remediation needs. For more information on the services we provide regarding storm damage cleanup for your residential and commercial structures, please visit or call: (281) 907-0018. 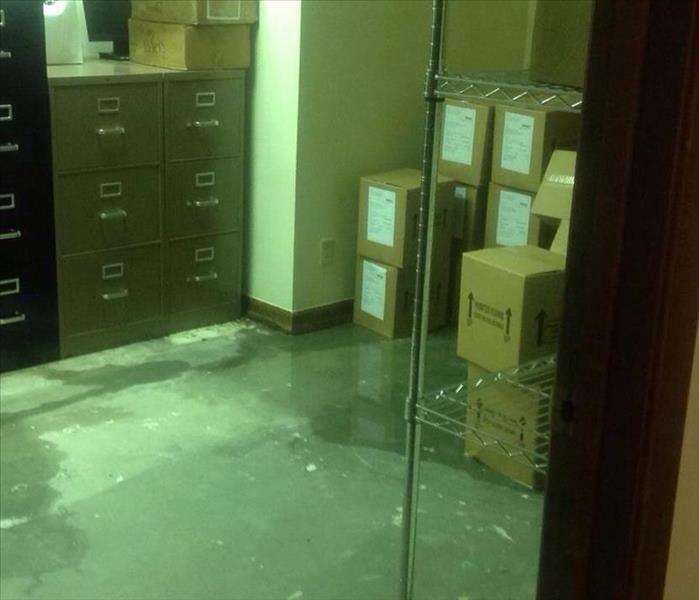 A recent heavy rain storm in North Houston caused this Westfield area office building to suffer mild flood damage. 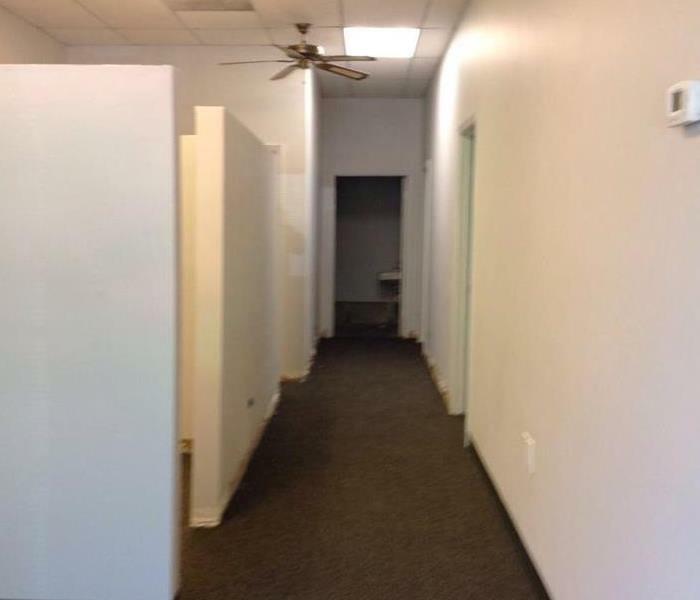 As you can see in this photo, the carpet and the baseboards in this cubicle area had been affected. Unfortunately, the building is located on the low end of its slanted street, and tends to be at risk during threats of heavy downpours. Fortunately, SERVPRO of Westfield was there to provide expeditious water mitigation services, and will be there if or when they call us for services in the future! Give SERVPRO of Westfield a call at (281) 907-0018. We’re here for your water mitigation needs. 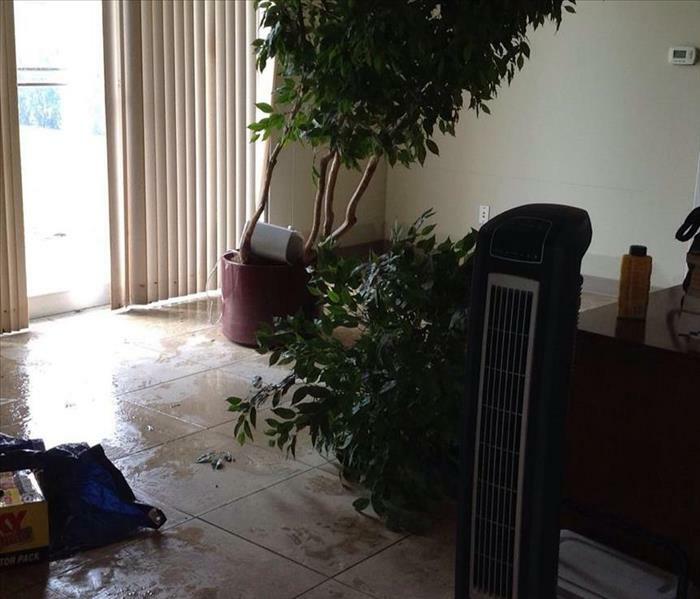 As shown in this photo, a busted pipe in the foyer of this senior living facility in Spring, TX was the source of the water damage incurred throughout the entire first floor. Though unexpected and slightly overwhelming for the staff and tenants, SERVPRO of Westfield’s technicians provided immediate water mitigation services, and got the facility up and running in no time. Call SERVPRO of Westfield at (281) 907-0018 for your water mitigation and structural drying needs. If your commercial building experiences a water damage emergency, don’t hesitate to contact our team here at SERVPRO of Westfield. SERVPRO of Westfield is locally owned and operated, and we are available 24 hours, 7 days a week. 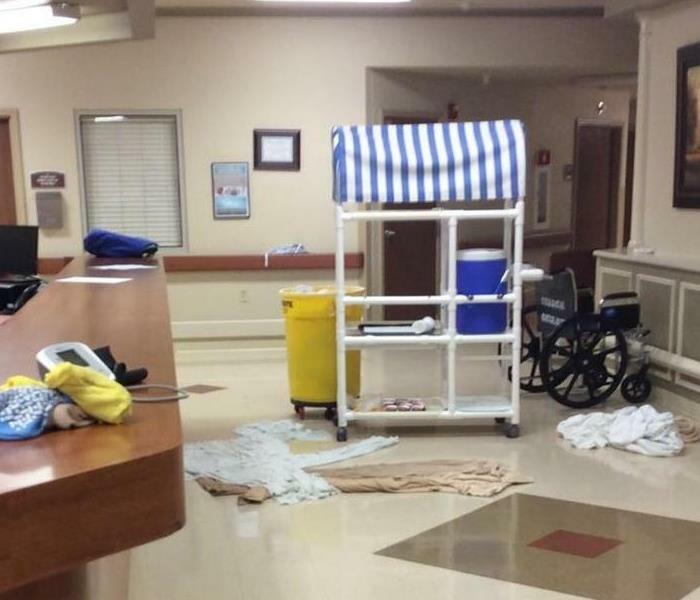 This Houston, TX hospital emergency room suffered water damage due to a broken valve in a restroom. The staff attempted to tend to the water as much as possible. We were called out and on the job in no time! SERVPRO of Westfield is Faster to Any Size Disaster! Water damage can happen unexpectedly, anywhere, at any time. 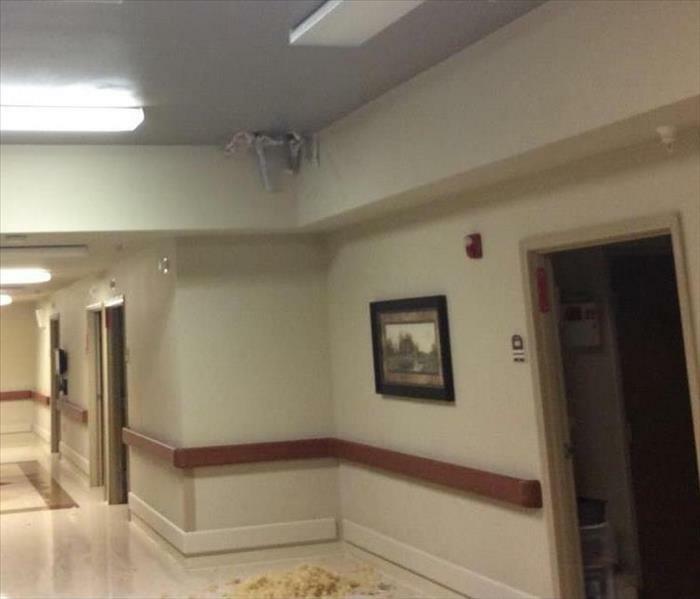 As you can see in this picture, a hospital in Humble, TX had water damage to their ceiling due to a water leak from a pipe in between their second and third levels. Though it was a Sunday morning, a member of the maintenance staff contacted SERVPRO of Westfield’s 24/7 phone line to request immediate services. Our teams of technicians were able to arrive quickly; extract the water, and set up our drying equipment before major activity began at the hospital. 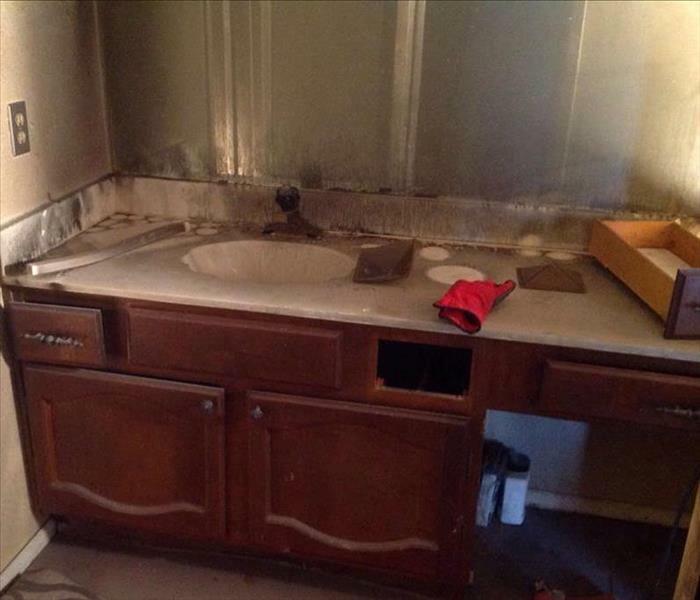 A curling iron caused a mild fire in the master bathroom of this Spring, TX home. Through the hustle and bustle of running late and dashing off to school, the curling was left plugged in. Only the bathroom suffered light burn damage, but smoke damage affected the bathroom, and most of the hallway. SERVPRO of Westfield was able to restore majority of the affected contents. Give SERVPRO of Westfield a call today at (281) 907-0018 for your fire restoration needs. No one’s ever prepared for water damage to their home, which can definitely be overwhelming. 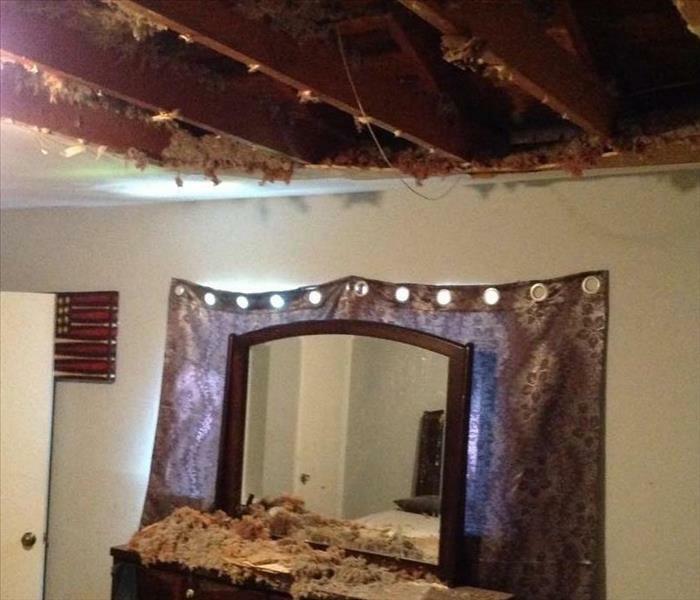 A water heater leaked in this home’s attic in The Woodlands, TX, and causing damage to this bedroom and throughout the house. This photo shows the damages to the bedroom ceiling. This apartment was affected by smoke from a small apartment fire in the unit right next door. As the smoke traveled, it caused soot to settle lightly throughout the home. SERVPRO of Westfield was contacted by the renter to come out to clean and deodorize their apartment. Here's to another year of giving thanks for all of our blessings. We hope that this season is filled with lots of happiness, joy, wealth, and prosperity. May your home be filled with food, fun, fellowship, and love on this wonderful occasion. 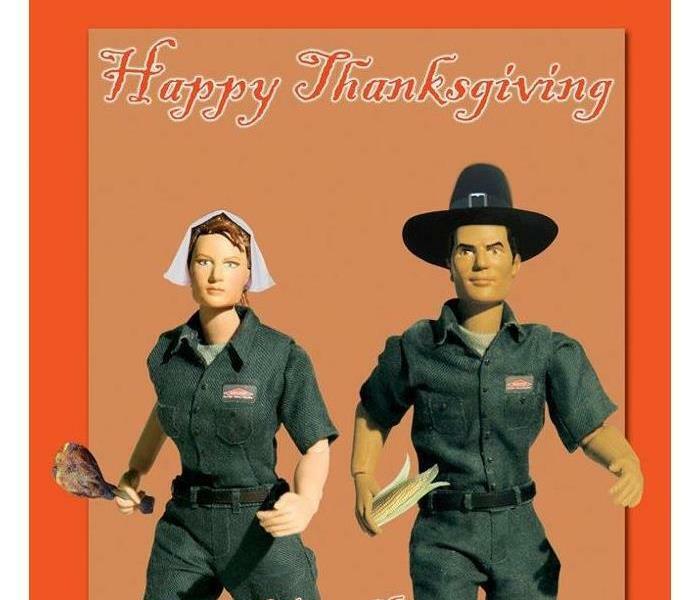 From our SERVPRO of Westfield family to yours, HAPPY THANKSGIVING! 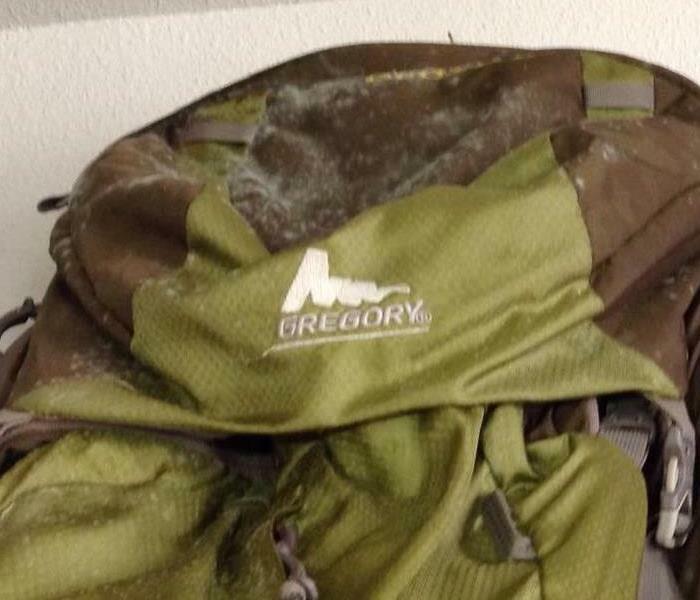 Mold damage was found on the structure of a Jersey Village, TX apartment, damaged by fire. The fire department sprayed the unit down to put the fire out, but moisture from the water caused mold to develop, due to the structure not being dried out. SERVPRO of Westfield was called out for fire and smoke damage cleanup and discovered mold growth as well. With the assistance of an Air Quality Specialist, the apartment was taken care of thoroughly. If you see visible mold, do not disturb it. 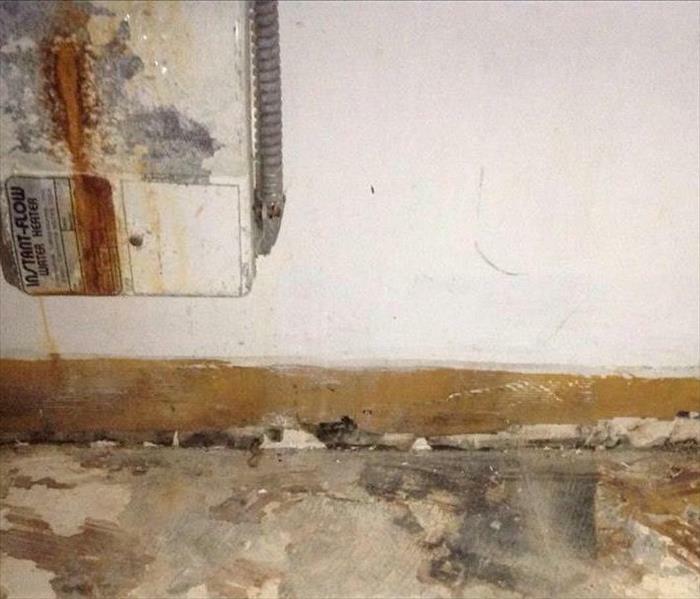 You can inadvertently spread the mold infestation throughout your home. When mold is disturbed, the mold can release microscopic mold spores which become airborne and can circulate inside your home. 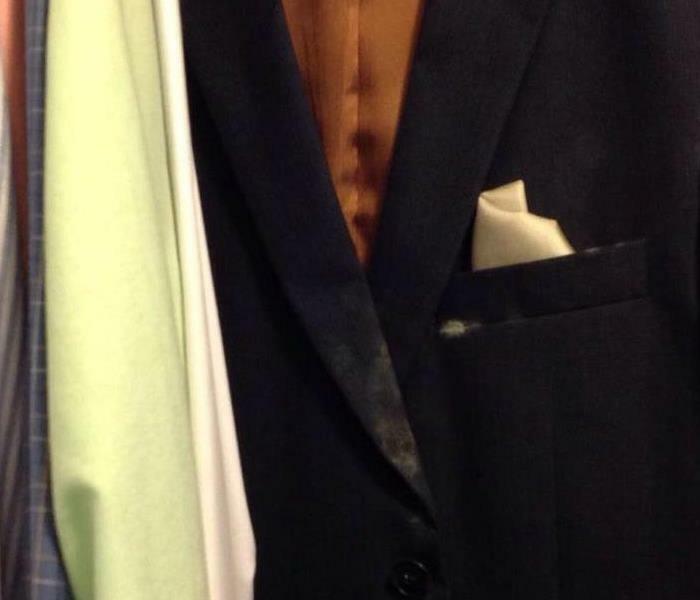 Mold on clothes may be in the form of settled spores. Badly infested clothes should be isolated by sealing them up and sending them to trained professionals for decontamination. 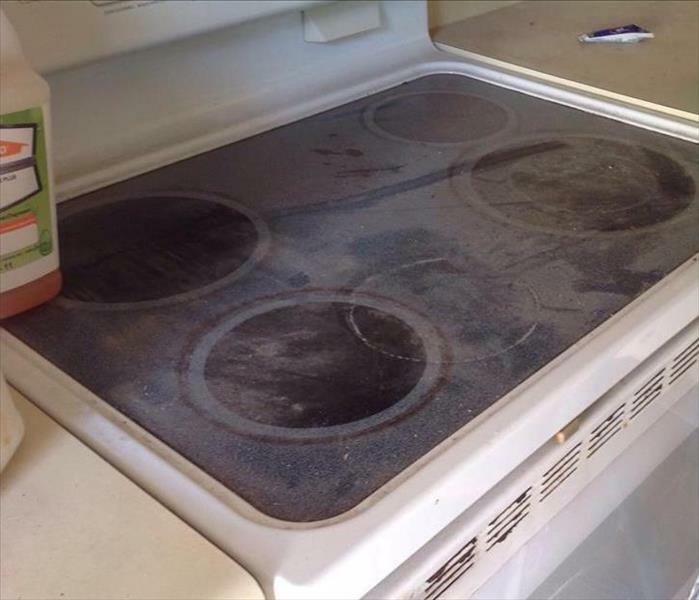 SERVPRO of Westfield can take care of all of your contents cleaning needs. 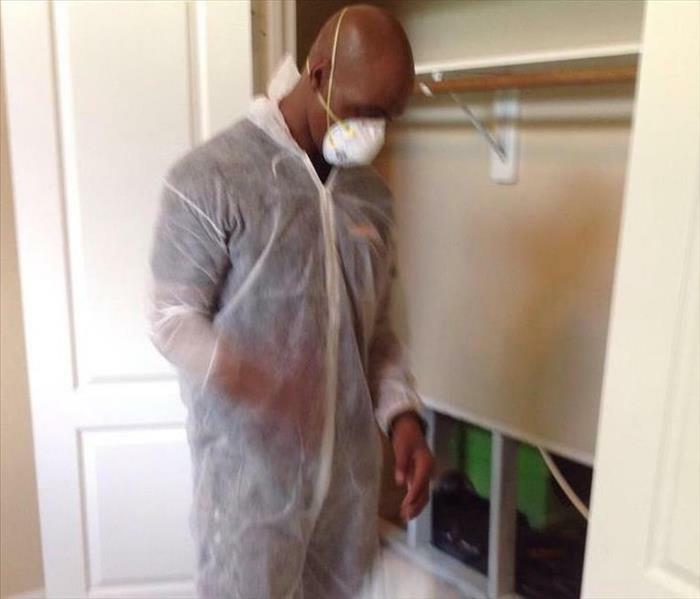 The contents in the closet of this Missouri City, TX home were affected by mold growth due to a slow shower leak from the shared wall. The mold had affected the drywall, contents, etc. SERVPRO of Westfield removed the mold and its spores by building a containment area around the mold affected area and materials, and then removed all affected materials before finally HEPA vacuuming and filtering the air of all mold spores. The customer was very pleased with the services, and assured us that she would recommend SERVPRO of Westfield to all of her friends! 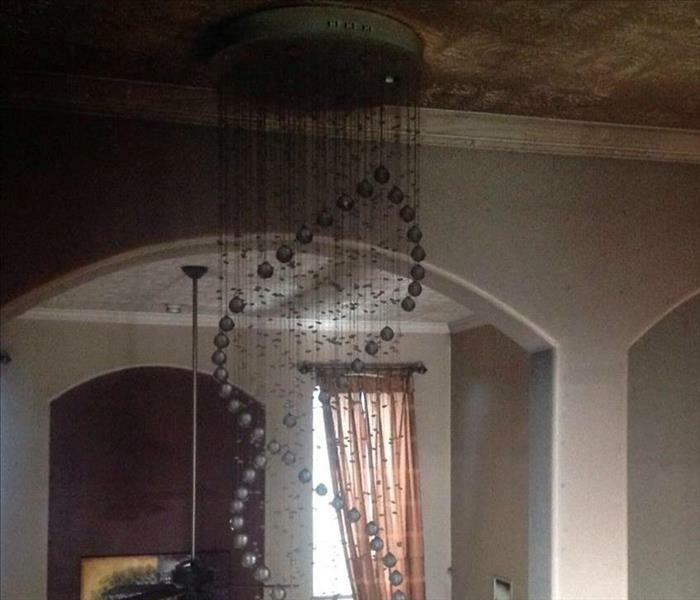 The chandelier in the foyer of this Humble, TX home was affected by smoke and soot from a mild fire in their home. If your home or business sustains fire damage from a loss, the first thing you should do is contact your insurance company. 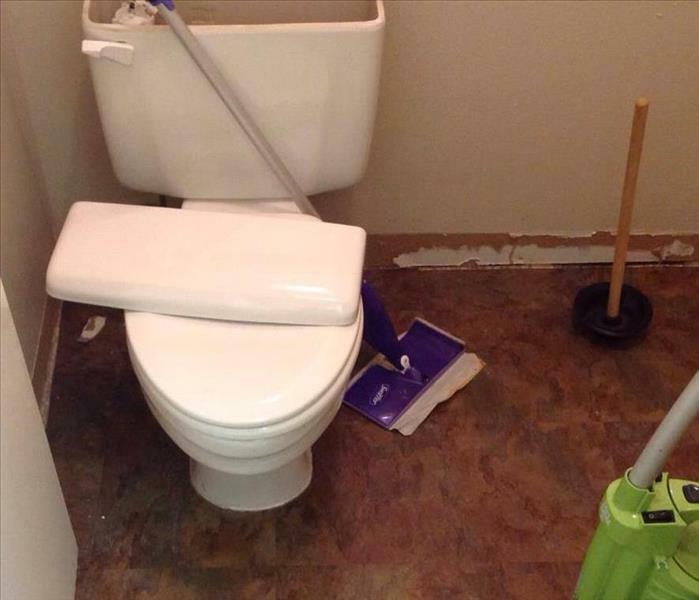 Once that is done, your next step should be to call SERVPRO of Westfield. We’ll work closely with your insurance company for an easy claim process and get your home back to its preexisting condition. 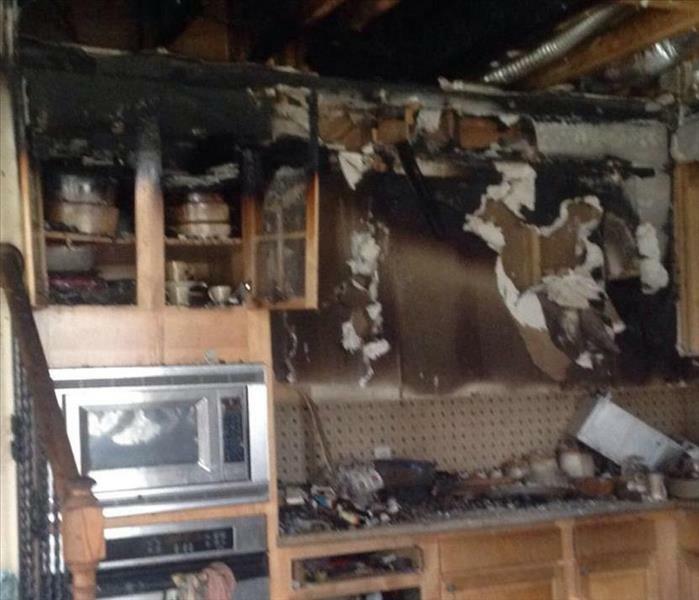 When we visit your home after a fire loss, we will scope the affected areas to determine the extent of the loss. We have the equipment, expertise, and experience to restore your fire and smoke damaged structure. If a fire has damaged your home, call us right away at (281)907-0018. The time you wait to have a restoration company come and clear up the resulting destruction will dictate how bad the situation can get. Smoke damage and soot damage will continue to devastate your property the longer it goes uncleaned. The advanced equipment and techniques that SERVPRO of Westfield uses are just a few reasons to call our fire cleanup crew. Please visit www.SERVPROwestfield.com or (281) 907-0018. There's never a convenient time for water damage to strike your Houston home or commercial property. 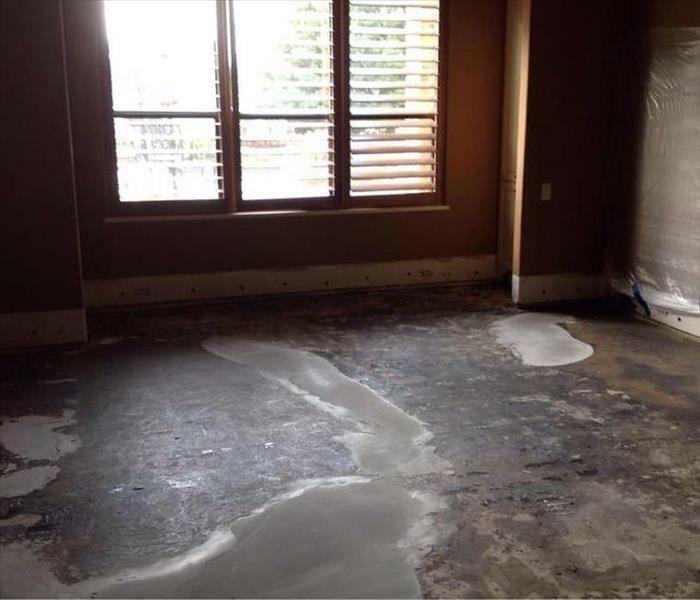 Water damage can be evasive and move very quickly from room to room. So when the need arises for professional cleaning or emergency restoration services, SERVPRO of Westfield has the training and expertise to respond promptly with highly trained technicians to get your property back on track “Like it never even happened”. 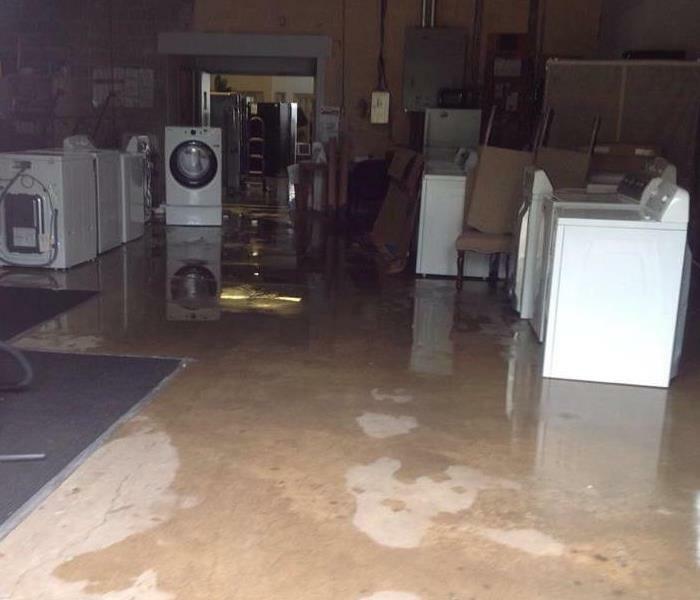 This partially flooded Jersey Village, TX office storage room was the result of an ongoing faucet leak in their break room that finally gave in. SERVPRO of Westfield’s expeditious arrival after being contacted by the customer, getting to work immediately, helped to aid in very minimal content damage. The customer was thrilled with the quick response, and being able to salvage a great amount of the contents affected. SERVPRO of Westfield is here to help with your water restoration needs. We’re just a phone call away at (281) 907-0018. The saturated carpet in this photo is a result of a flooded hallway in a Spring, TX doctor’s office, due to a broken pipe in a restroom. The water damage extended throughout the hallway. Commercial water damage can cost businesses thousands of dollars in productivity; it is always the goal of SERVPRO of Westfield to keep your business running as smooth as possible. For more information on the services that SERVPRO of Westfield provides regarding water damage cleanup for your home or commercial structure, give us a call today at (281) 907-0018. This flooded home in North Houston was the result of roof damage, caused by heavy thunderstorms. 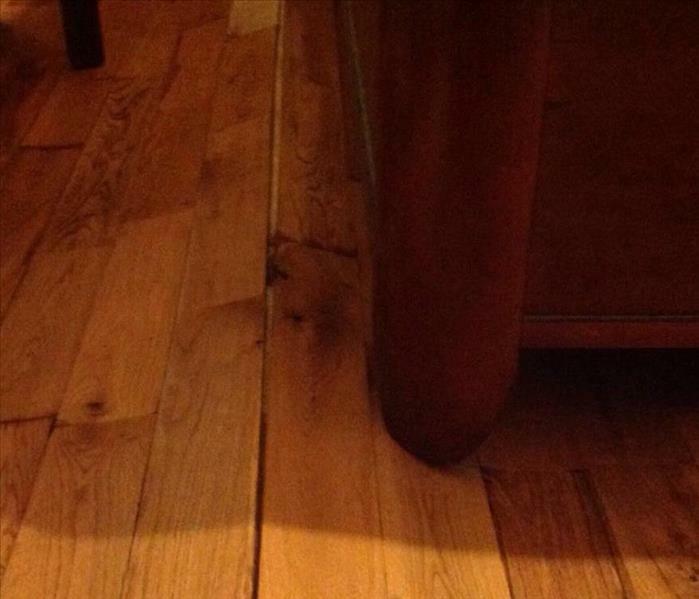 The water damage extended throughout the hallway, into this bedroom, causing the wood floor to buckle (shown in this photo). SERVPRO of Westfield’s technicians began the water mitigation process immediately upon arrival. The level of expertise demonstrated through the services provided, created a comfort zone for the customer and their home. For more information on the services that SERVPRO® of Westfield provides regarding complete cleanup and remediation for your home please visit www.SERVPROwestfield.com or (281) 907-0018. 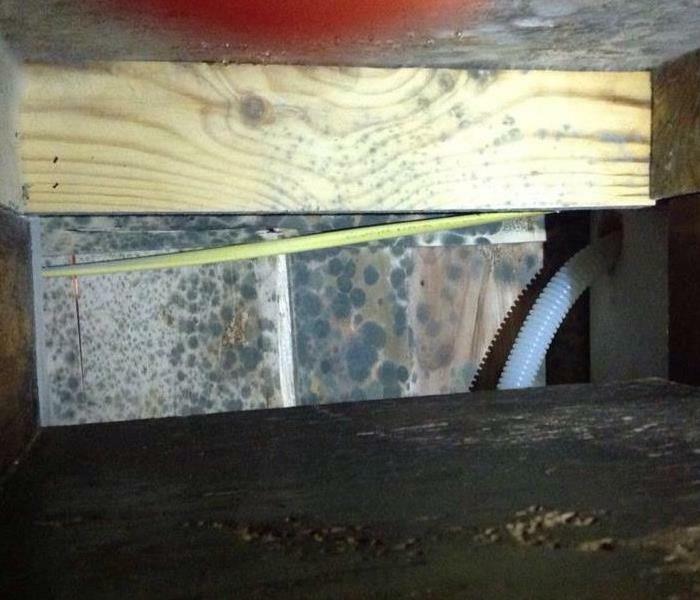 A pipe burst in the attic of this Humble, TX home caused major water damage throughout the entire home. This photo shows the outcome of one of the bedrooms after having to remove all content, baseboards, carpet, etc. SERVPRO of Westfield received the call, arrived ASAP, and began working on the process of extraction and dry out with several air blowers and dehumidifiers. 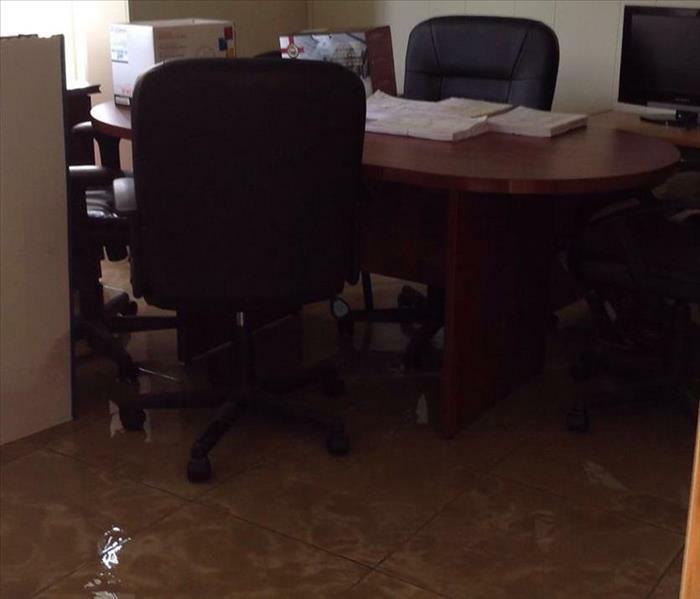 A Credit Union in Spring, TX suffered damages inside of their office building from rising waters and violent winds. SERVPRO of Westfield immediately dispatched a 3 team crew of technicians to the flooded credit union to extract all the unwanted water. SERVPRO of Westfield was able to dry all the floors and walls affected with our commercial drying and dehumidifying equipment. Flooding was the result of harsh winds and rain that allowed for water seepage damage to this Spring, TX office building. Through cracks in the foundation and right underneath the entrance door, the flood water made it's way in to the commercial building. SERVPRO of Westfield was called out to perform all water extraction and contents drying. As seen in this photo, carpet padding had to be removed for thorough drying of the hardest hit area of the office building. 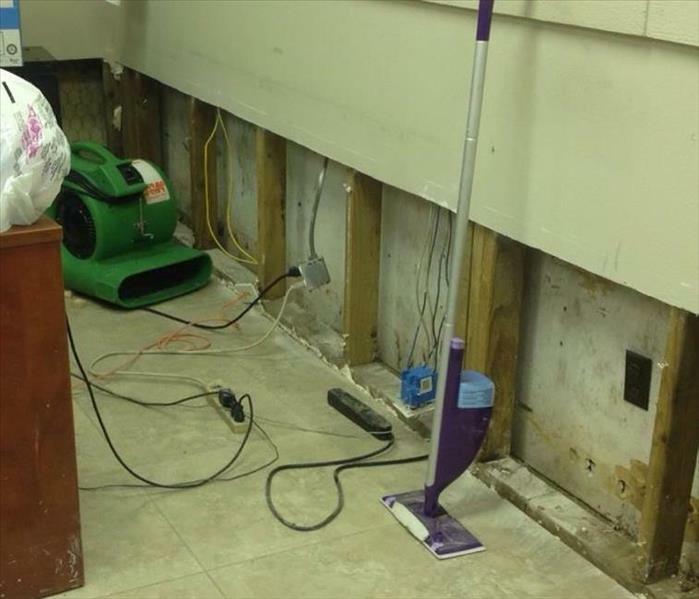 A Houston, TX law office suffered water damages due to flooding; as a result of heavy thunderstorms. 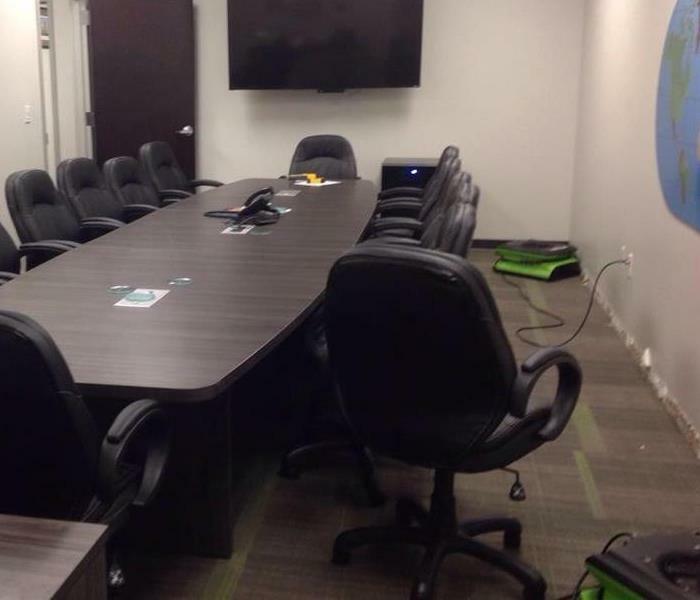 Some of the carpet in the office had to be removed to allow for complete dry out, and other sections were salvageable with normal drying procedure, like the photo shown of their conference room. SERVPRO of Westfield was contacted by the customer’s insurance provider, and was dispatched within an hour for the cleanup, working efficiently and expeditiously as possible. A City Water Main break was the source of the flooding of an entire commercial structure in Jersey Village, TX. SERVPRO of Westfield technicians arrived quickly after the call was placed; and began extraction of the standing water immediately after inventory of the damages. Up to 2ft. of drywall was removed along with all affected insulation. SERVPRO of Westfield knows that commercial water damage can cost businesses thousands of dollars in productivity. The immediate response helps to minimize the damage, cleaning, and restoration costs. It is our goal to help keep your business running as smoothly as possible through the restoration process. For more information on remediation and restoration services, call us at (281) 907-0018. 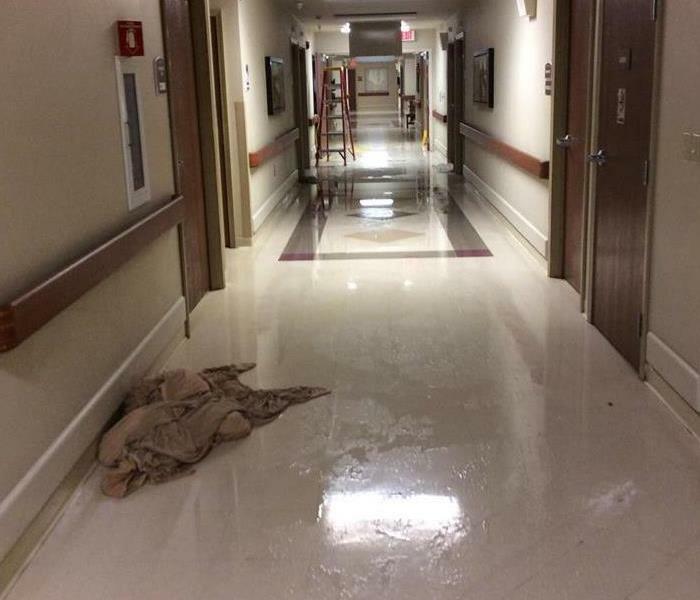 SERVPRO of Westfield was called out to a Humble, TX rehabilitation center that had been affected by unexpected water damage from a fire suppression system. 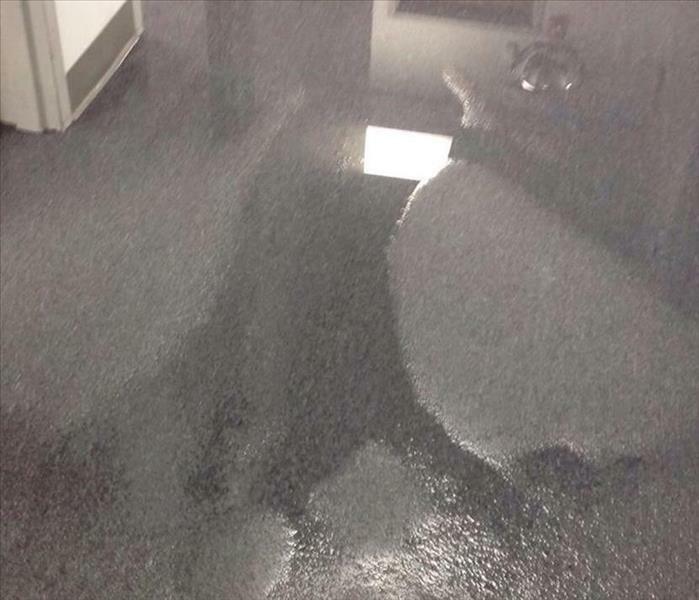 The water damage affected 2 wings and the admin area. Several rooms were affected in each of the 2 wings. We extracted all standing water in the affected areas, blown in insulation in the ceiling was removed, and the drying process began. For more information on the services that SERVPRO of Westfield provides regarding water damage cleanup for your commercial or residential structure, please call us today at (281) 907-0018. Whether you have a small business or you’re a homeowner facing minor fire or water damage, or you’re a property manager dealing with a widespread disaster, SERVPRO of Westfield has the resources to respond quickly and efficiently. The sooner help arrives, the sooner restoration begins and the sooner you can resume life and business as usual. 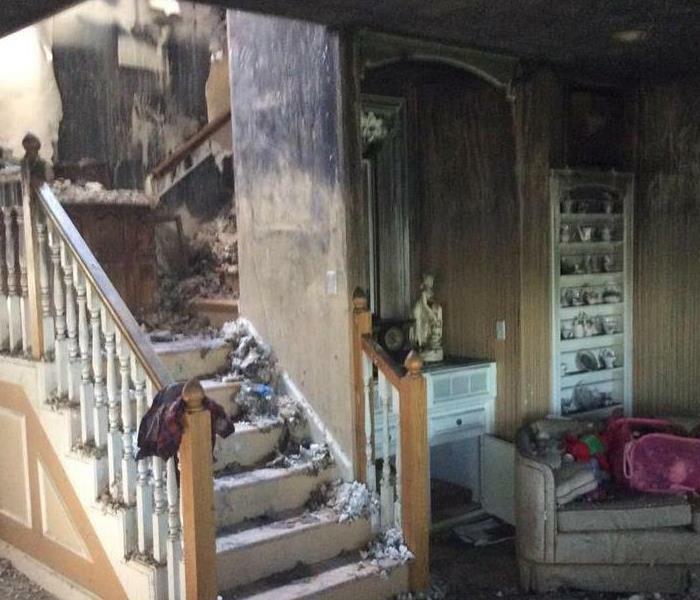 A home fire in Trinity, TX caused severe fire and smoke damage, leaving a family in grave devastation. 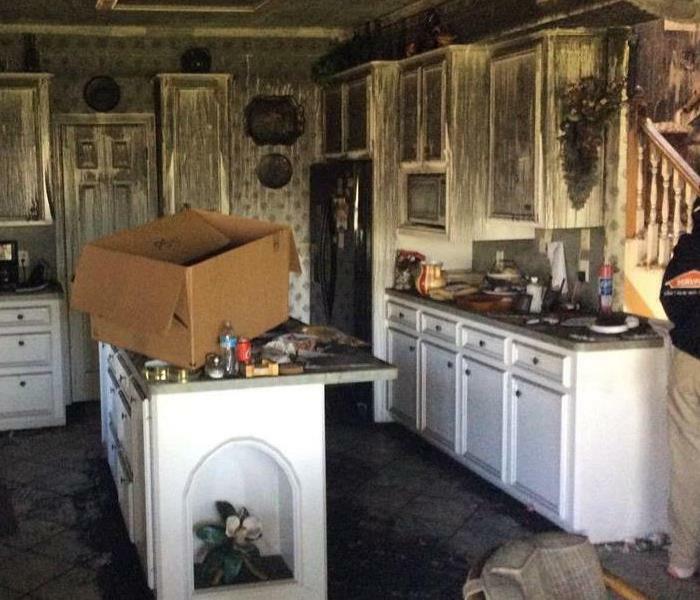 Though the home was severely damaged, with confidence SERVPRO of Westfield was contacted immediately to provide fire restoration services, which includes removal of affected items and restoring salvageable contents "Like it never even happened." 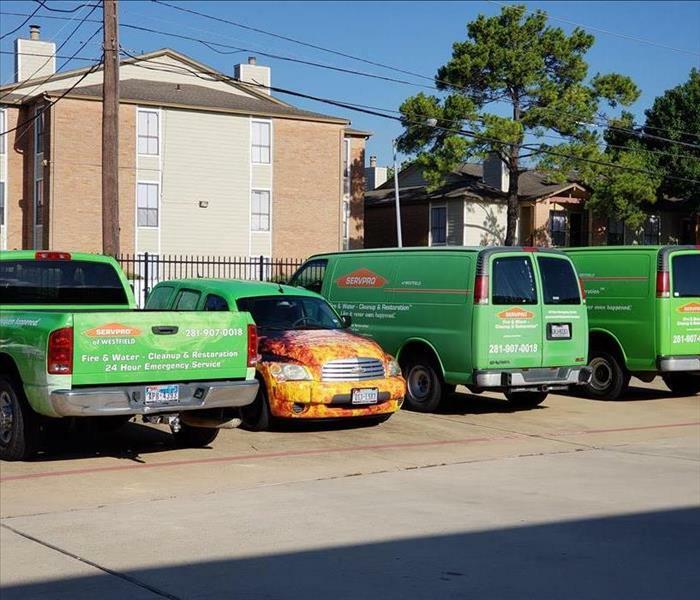 For more information about SERVPRO of Westfield's fire restoration services, please visit us at www.SERVPROwestfield.com or (281) 907-0018. 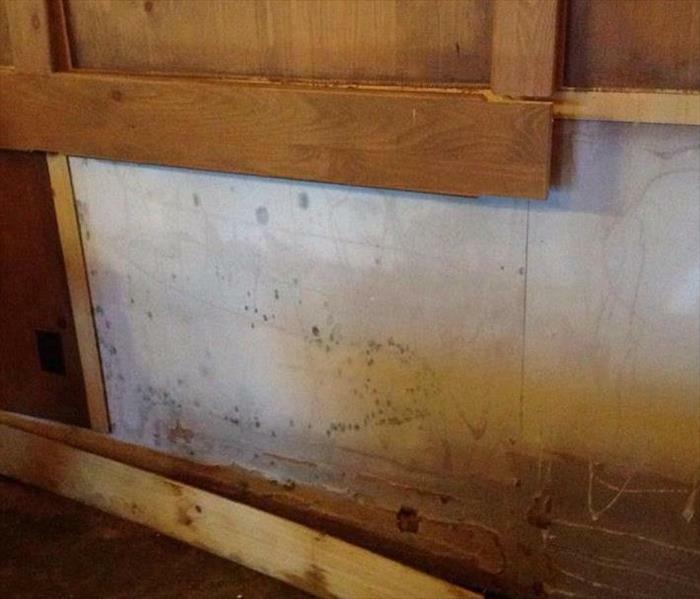 Mold damage caused by a leaking water heater at a business in Pearland, TX. Leaking water heaters are a common cause of mold that we see in homes and businesses. Check your water heater regularly for leaks to proactively aid in preventing mold damage. For mold remediation services, call SERVPRO of Westfield (281) 907-0018. We make disasters "like it never even happened". 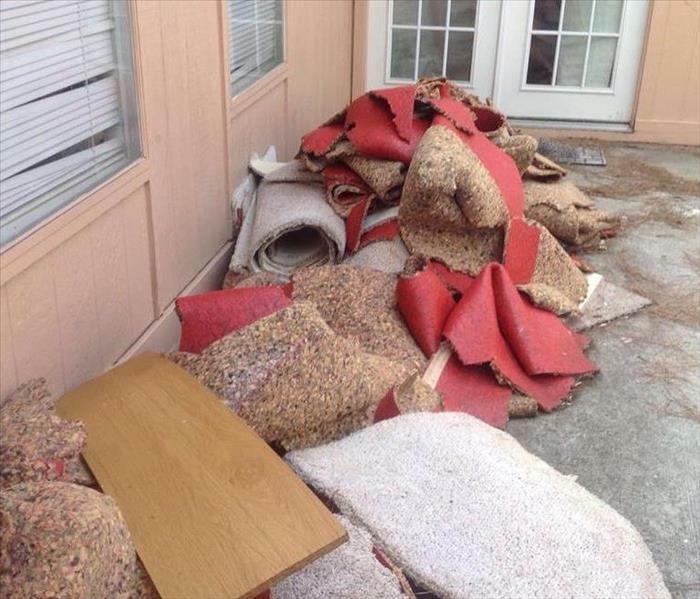 A furniture store in Spring, TX suffered the aftermath of an ongoing heavy rain storm, that led to flooding. SERVPRO of Westfield was on site within an hour of contact. Extraction of all standing water began immediately, while rearranging and removing furniture and other miscellaneous contents. After extraction, SERVPRO of Westfield began the drying process with dehumidifiers and air movers to dry out the affected walls and floors. Whether commercial or residential, SERVPRO of Westfield is always ready when disaster strikes.